This litter looks like pebbles, definitely not what I was used to, but it works great! No more litter dust, almost no tracking, and it absorbs wetness like crazy. I’m very pleased. I love this product: the way it is packaged; that it is odor free; that it is healthy for the cats; that it is not tracked out of the container; how easy it is to dispose. One cat will use Skoon, the other will not. I am slowly integrating Skoon with clay clumping litter to see if my objector cat will get with the Skoon program...will see how this works. I'm on a fixed income and Skoon is barely in my budget but when I consider the quality of the product and the convenience of monthly delivery, it is money well spent. Doesn’t track through house. Absorbs urine well. Material doesn’t sift through scoop well so a different technique needed for scooping poop. Most important is the cat likes it. That makes us happy as well as it being a good product. 3 out of 4 cats have taken to it very easily and the 4th is just weird. Works as advertised and the 1 bag per cat is a true minimum amount needed for the month. I love the product! However it's hard to get ahold of the company. I ordered a second bag and still hasn't arrived. I'm not sure why it takes so long. But it might be an isolated thing. But YES, love this product! Good Litter - will definitely keep buying! Love getting it shipped. Our cat didn't mind the switch at all! Much better than tiny crystal litters. Absorbs as advertised. It does get saturated in favorite pee spots so as a 3 cat household I scoop those areas out completely on a daily basis. It keeps pee odor in but does nothing for poo odor so the box ends up more smelly than with traditional litter. Definitely cuts down the litter tracking, that was very nice. Website is atrocious, as is the non-existent customer service. I tried to order more before my scheduled ship date and couldn't make it happen. I'm now mixing Skoon and Tidy Cat to get by. Overall I'm still undecided whether this will be a good solution long term. TBH I wish they'd just sell through Chewy.com. I have multiple cats. THIS IS AWESOME for the the pee. I just need to get a scoop with wider slots to sift the poop and not get the crystals caught in it. I have 2 cats. One of which really likes this litter except he will not poop in it which is fine since my other cat won't use it at all. I am hoping she will finally come around. You do have to stir it up every few days. Having 4 cats - love, love, love!!!! This stuff is awesome. Just wish bigger bags and a little cheaper. I've only used one month's supply but am ordering a second month's supply for sure. So far I have not needed to use customer support so I cannot speak to that. The "shopping experience" is pretty straightforward for creating an order but tracking an old order and looking into your order history is a little tricky (consumer advice: KEEP THE ORDER EMAILS, the only way I can find to "log in" to your account is by a previous order number). So far as value/working as advertised it is exactly as expected, maybe even exceeding. I have 1 cat (2 litter boxes) and he uses them just fine. Even the "dust free" litter options don't compare to the pebbles in Skoon. I've only had a few trail out which is a miracle considering the amount of wild digging and rummaging my cat does in his bathroom routine. Another consumer advice - try not to use all the pebbles at once. As the pebbles start to turn color to show usage, add some more pebbles (I did about 2 weeks into the usage). This makes it last more! Where did the moisture go? First, it works. It hides moisture of all forms. It pulls moisture from cat poop! One of my cats is very smelly and the litter sends the smells to another dimension or something. (Sorry other dimension!) It’s science. It works. It doesn’t track or get stuck in paws. It’s kind of pretty. The cats use it. It works very well. Just get it. I wasn't sure how this would work. I was looking to increase simplicity and decrease odor with my two pee-heavy cats as I transition from 3000+ to 750sqft. I had to change delivery frequency to 20 days, but even wet the boxes held up. No doro, very little tracking. I know my cats are happier. I'll never have to bleach and scrub a litter pan again! First time user and so far so good. It’s been around 3 weeks and still no smell. Litter is kind of like gravel so my cats have to work a little harder digging but they manage. Also can’t use the kitty litter scooper litter chunks are too big. Delivered to your door on a schedule that fits your need; lightweight, no smell, no dust, easy setup, easy disposal. Great product. I don't know if my cat just pees too much for it, but after 2 weeks i could smell urine and by the end of 3 weeks it was unbearable. Financially, it doesn't make sense to double up my order because then I'm paying $50 for a month, when i can use my old clumping litter that did better than skoon for $20 a month. Also, I know skoon didn't advertise about controlling the smell of feces, but the pellets stick to it. Then the supposed odor control is lessened every time you carefully scoop out the feces. Too much hassle and does not work as long as advertised. I stirred the pebbles after removing solid waste, as recommended, but it is possible I did not stir them frequently enough to prevent oversaturation in the areas my cat likes to go. I am very happy with the way Skoon cat litter works. Our office/ Kitty room was always stinky. Litter also tracked everywhere. Skoon has stopped the odor and is much easier to sweep up a few pebbles than the litter. My only "issue" was that I thought it was coming in its own "Litter Box", but it just came in the bag. I, of course, have litter boxes so not really a problem, but I liked the idea of just chucking the whole kit and caboodle. This is the BEST litter I have ever found! This litter is better than I could ever imagine! This is one of those moments when what sounds too good to be true, is actually the truth! I have been blown away by this litter! I was worried that my cats wouldn't like stepping on "pebbles" verses the "sand" they are used to, but that has not been an issue at all! They took to it the moment I filled the litter box with it. (We are currently using 3 different types of litter and they seem to like this one the best!) 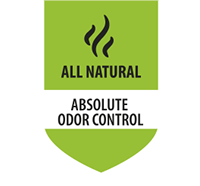 Here is my list of complements: ~It is truly odorless and stays that way, even with my 3 cats using it. ~It doesn't get tracked around the house like regular litter does. ~There is no dust whatsoever. There is only one downside, and that is since it doesn't "clump" like regular litters around poop, you can really smell the poops. This means that you need to almost immediately scoop out poops after they use the box or the room will smell. However, I consider this a very small thing and 100% recommend everyone use Skoon! Skoon works well, I have three cats and it has kept the smell down significantly. The pieces are larger so it is a little difficult to scoop out the poop. Have to have a scoop with large enough holes for the pieces to drop through. There is also a significant amount of dust when first pouring the skoon into the box. But it does work really well, keeps the smell down and it does not track around the house! I would recommend it just on that note. Over all very impressed. I have 2 kittens about 6 months old. I have a very large litter box. I put 2 bags in it. There's zero smell with only scooping poop for about a week and a half. I'm wondering if I used a smaller box, and changed it each week if I'd have even better result. I ordered 2 bags as directed and it takes one whole bag to fill my box. It said 2 bags a month for 2 cats but I think 3 would be better... however that's pretty expensive. I am going to try a smaller litter box so maybe I can only use half a bag and throw it away each week. The litter definitely absorbs cat urine and the smell. But it does nothing for poop. Doesn’t cover it, absorb it, or trap odor. Hi, Laura. We are sorry Skoon didn´t meet your expectations, it´s a little odd, though. Skoon is great absorbing liquids, this helps drying up solid wastes, however, you still have to remove them. We are pretty sure you were doing this and even so, you perceived the smell of poop after removing them from the box, right? Please help us understand the problem so we can help you and keep working on improving our products. Customer satisfaction is our number one priority. We appreciate your time and feedback. Thanks. My cats LOVE Skoon Cat Litter and so do I !!!!! I love that there is no dust and no urine smell. I still can't believe how great it works. My little Princess Samurai Sushi Cat really loves it and my once-feral Angel-Kitty loves to use his litter box now. This product is FANTASTIC !!!!! The holy grail of kitty litter! I have tried every other litter out there and there was always perceptible odor and too much tracking. Akon is miraculous when it comes to odor control. There is zero odor even in the unventilated area where my cat pan is located. Tracking is at a minimum with the larger pellets. Thank you Skoon! I was surprised, it was better than I thought. I have two cats so I thought two Skoons would work out, but I had urine seep through the cardboard on the first day I set out one of the boxes. Isn't the litter supposed to be absorbent enough to avoid that? I am well aware that the litter is supposed to be stirred EVERY OTHER DAY but that's not enough, nor is every day.